The importance of time, quality, and cost reduction cannot be emphasized enough in today’s technology programs. In the banking industry, which is much influenced by technology, regulations, as well as customer expectations, Agile plays a very important role in quick adoption of technology without compromise on quality. The extremely fast-paced IT world necessitates quick requirements planning and definition, outcome-driven delivery strategies, delivery itself to be uninterrupted and continuous, and at the same time very adaptable and flexible to change – change imposed from the business end as well as those imposed from the technology front. With digital delivery being seemingly impossible to achieve without Agile, and banking being impossible without digital, Agile becomes the only mode of operation for all digital banking initiatives. Agile Assessment – Built on concept of continuous improvement, and Maveric’s internal concept of “Step Change”, we assess your agile readiness, and construct a suitable adoption program that breaks the concept in adoptable steps with a focus on continuous improvement at every step. Agile Transformation – Based on Maveric’s nearly 2-decades long experience in the banking industry, we understand your business and its current needs, and hence, have designed transformation services that enable you to adopt Agile and integrate the same into processes, programs, and people. We advise and help our clients shift to an Agile/DevOps model by supporting them with Agile coaches, scrum masters, product owners, developers, and testers. Our offerings are backed by extensive experience in providing these services to global banking leaders across UK, Mexico, US and Singapore. 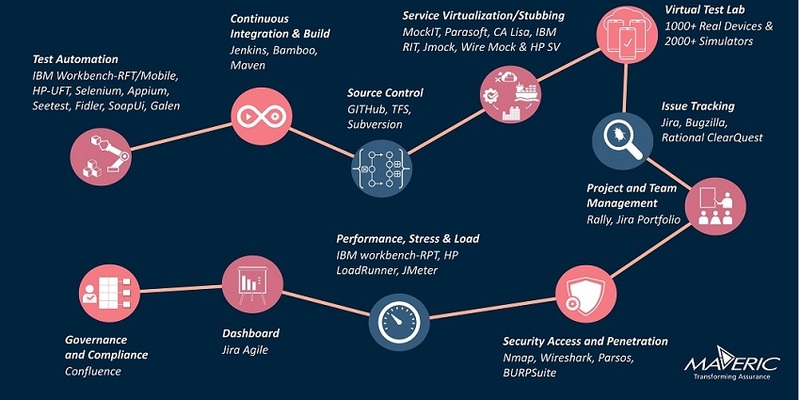 Agile-enabled Delivery – Maveric’s delivery of services across the SDLC have an in-built component of Agile that helps us achieve the avowed objective of Quality, Time and Economy. Not only that, our Agile services focus on a comprehensive approach to include other branches such as infrastructure, support, and operations as well. Maveric has rich experience in Scrum, eXtreme Programming (XP), Kanbanand SAFe Methodologies. We will partner with you to create the ideal Agile adoption path for your organization to reach its goals. Complementing this process are Maveric’s homegrown IPs (assets and frameworks) that will help accelerate timeliness, efficiency and productivity. Customer: Tier 1 banking organization with operations across US, South America, Europe, Australia and APAC. Engagement: Replacement of legacy systems in a phased manner in an agile model, starting with retail loans and credit risk. Highlight: Project executed in complete agile mode, commencing with BTC planning done to understand scope, constraints, time and resource requirements etc., early in the testing lifecycle using Agile approach; BTC execution delivered in sprints with each sprints having a mix of user stories across functional areas, as well as testing with the Tech, Dev and Business to identify actual issue in real time, with immediate resolution.